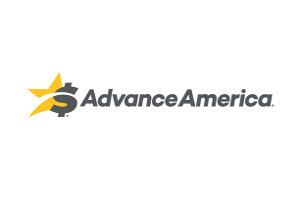 Advance America is a trusted cash advance lender operating in 30 states. The company offers cash advance services and payday loans for customers who experience temporary financial difficulties. 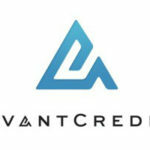 Being one of the leaders in the lending sector, the company has 2,500 locations across the country. 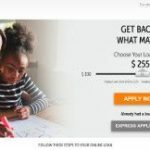 Apart from offering payday loans, the company provides installment loans in some states, Prepaid Visa or Visa Gift cards, offers Money Gram services and tax preparations. Advance America is known as a reliable lender whose rate of return customers is really high. The amount of loan customers can apply for ranges from $100 to $1500 depending on the state where the application was submitted. One of the biggest advantages of payday loans the company provides is that they do not require a credit check and customers’ applications are approved on the basis of their ability to repay the borrowed amount on the due date. Apart from that, the fact of applying for a payday loan is not reported to a credit bureau and does not affect your credit score. 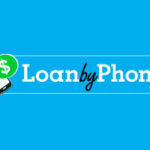 As a rule, payday loans are designed to be offered for the term of 14 days and be repaid on the day of your paycheck. The application process is simple, fast and hassle-free. Once a customer’s application is approved, the required amount is transferred electronically into the borrower’s checking account and the funds are accessible the next business day. Installment loans that the company offers differ from short-term payday loans which you can borrow from other lenders. While some states do offer online applications, the other ones require that customers should visit the nearest loan shop to complete the transaction. The requirements a potential borrower has to meet are as follows: being over the age of 18, having a valid checking account and steady employment. You have to have a recent bank statement or a pay stub to prove it. Besides, it is necessary to submit a state or government-issued identification and a means to verify your Social Security Number. Customers can submit their application online, which will take only a few moments, or by visiting the company’s website at www.advanceamerica.net. Should you have any questions concerning online application, either email [email protected] or contact their service operator. The amount customers may apply for is usually up to 32% of their gross income per month. It is reasonable to visit the company’s website in order to get to know how much cash you are allowed to obtain. How High Are Advance America’s Interest Rates? Interest rates may differ from state to state and often range from an APR of 143.29% to 688.28% APR, depending on the type of loan you apply for. What is to be done if you can’t pay off your loan in full? Does the company offer a rollover plan? – It certainly does. You are allowed to extend your loan for a certain period of time and pay only the fee, while the amount of your loan will be due on the day of your rollover. The company operates in Alabama, California, Colorado, Delaware, Florida, Iowa, Idaho, Illinois, Indiana, Kansas, Kentucky, Louisiana, Michigan, Missouri, Mississippi, Nebraska, Nevada, Ohio, Oklahoma, Rhode Island, South Carolina, Tennessee, Texas, Utah, Virginia, Washington, Wisconsin, and Wyoming. What makes the company really different from other lenders is the way and speed they serve their customers. Although their interest rates are not low, the approval rates are very high: anybody having a steady source of income and a valid bank account is sure to be approved. Besides, there are no prepayment fees. Some loans, nevertheless, have to be repaid every two weeks and the longest term the company can offer makes twelve months.